As a child, you might have had a book with drawings already present there so that you can just splash your colors and fill it in your style. And it is completely fine to have the same as an adult because painting is a passion for many. There are multiple free Coloring Pages designs these days that you can find on the web. 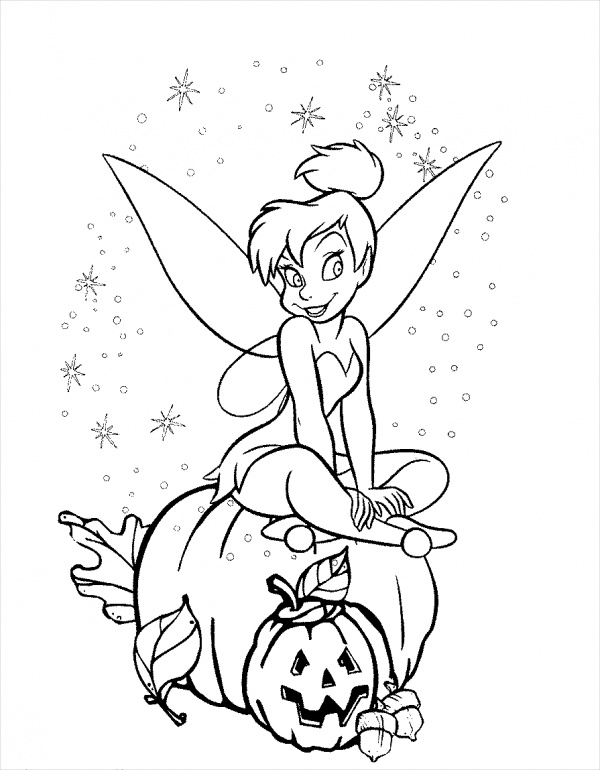 And in case you are looking for something specific, here are designs for a cute collection of Disney coloring pages. 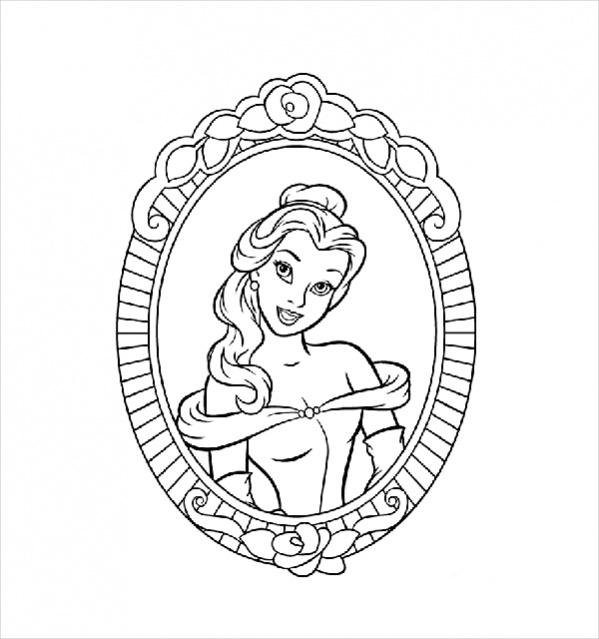 Here is a coloring page that shows Disney character Princess Belle’s portrait, or rather reflection of her on a mirror. You can download this design from the given link for your kid or yourself.You may also see Easter Coloring Pages. 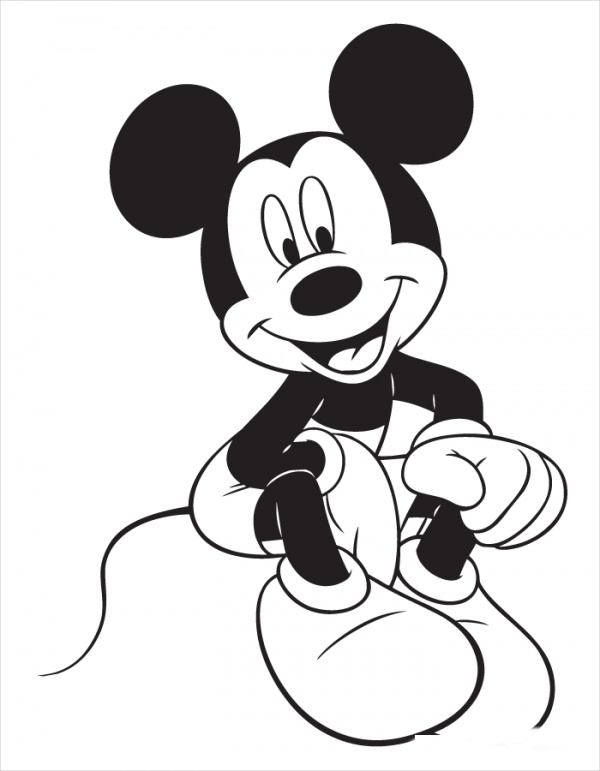 If you want, you can create a whole bunch of coloring designs using this free coloring page of Disney character and have a family color date picnic. You can also embed this in your web designs. 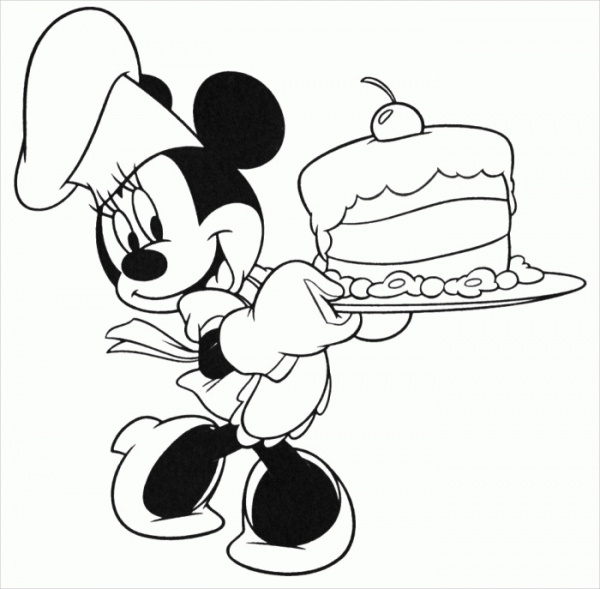 Mickey Mouse might be one of the most famous Disney characters. And people from all age groups are aware of his existence. Here is a coloring page design of him holding his cute hat. 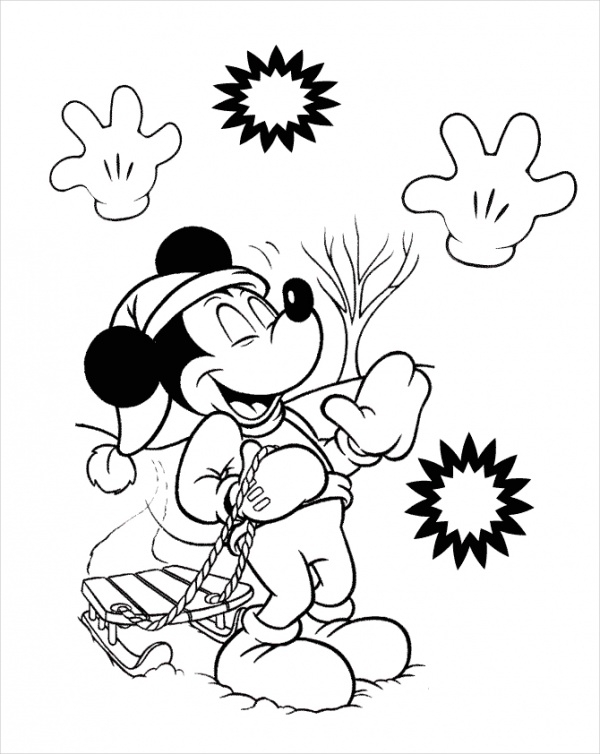 Here is another coloring page of the ever famous Mickey Mouse carrying his snow sled for the winter season preparation. You can use this for Christmas greeting card as well. You may also see Coloring Pages For Adults. Mickey’s girlfriend is equally famous along with the chirpy squirrels. 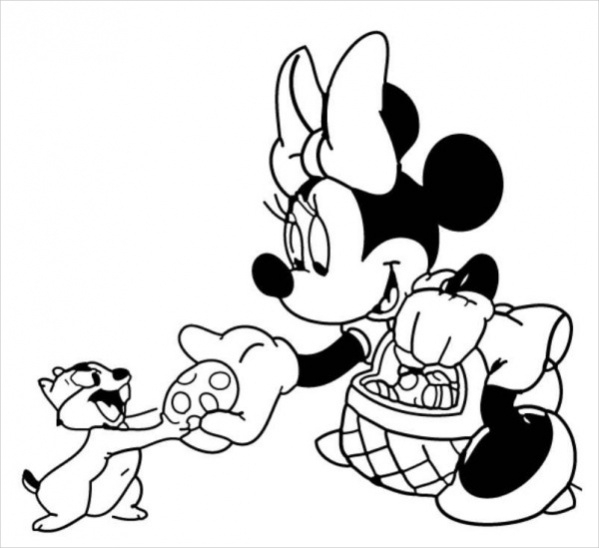 Here is a coloring page design that shows Minnie sharing the easter eggs with the squirrel from chip and dale show. 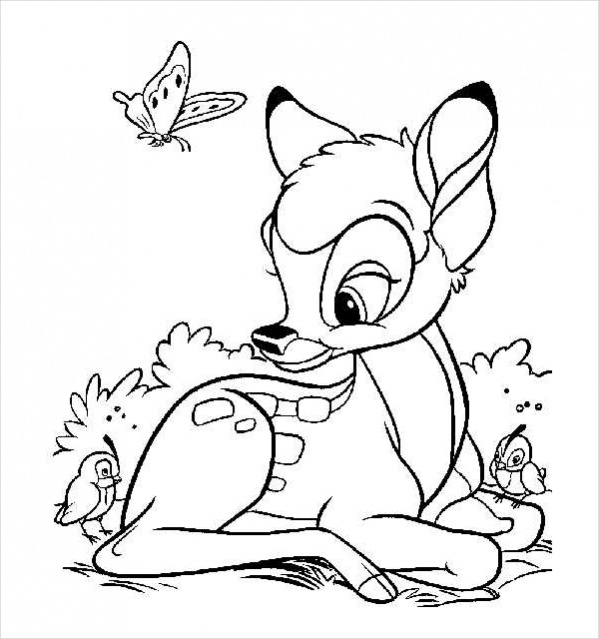 Here is a baby Disney coloring page for your baby. 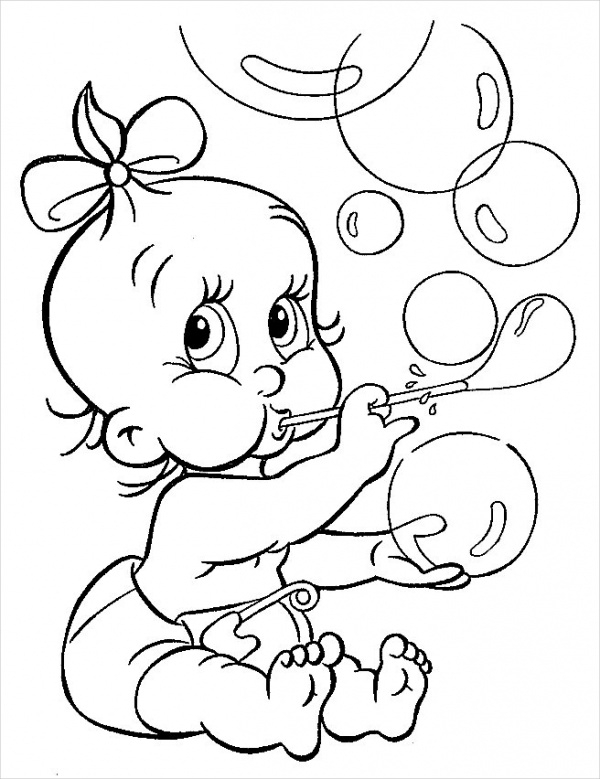 The baby in the design is blowing soap bubbles and that is something your kid will love too and love to color too. Print this design from the given link. 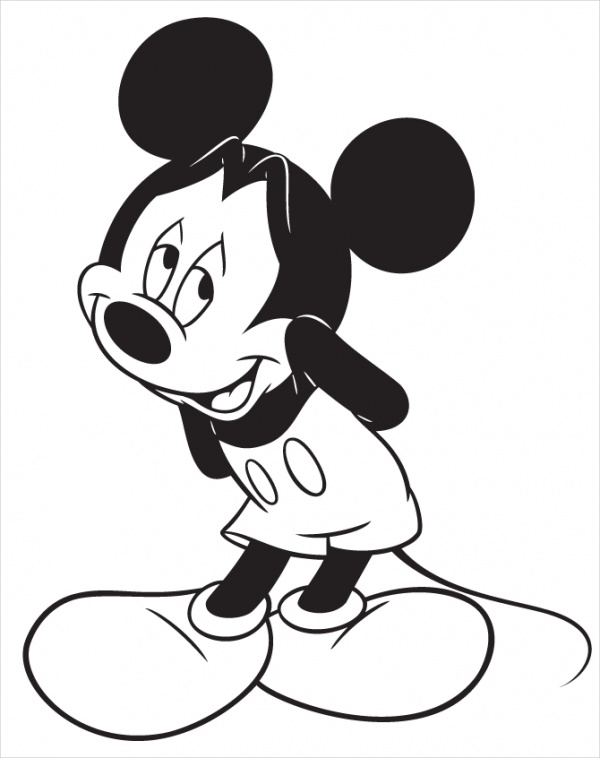 Here is another coloring page design for Mickey Mouse who is blushing quite a lot. This design can be printed for free from the below-mentioned link as many times as you want. 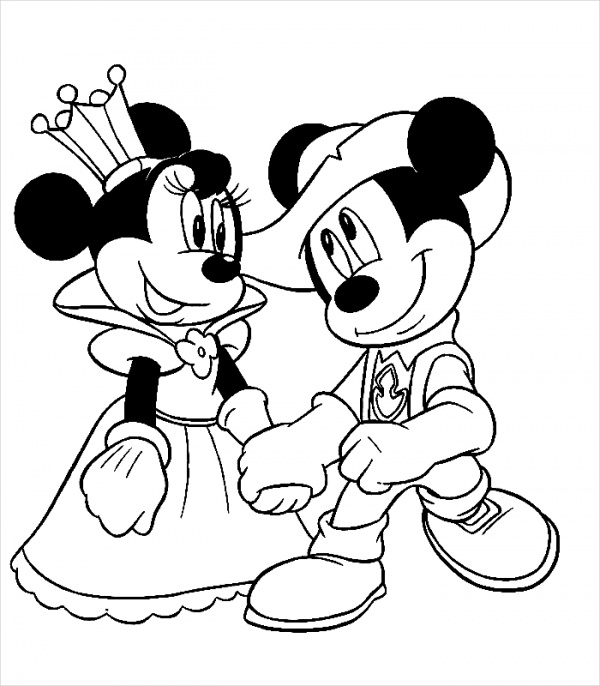 Here is a coloring page design that shows both Mickey and Minnie Mouse together in probably what looks like a wedding scene. Download and print this page design from here. 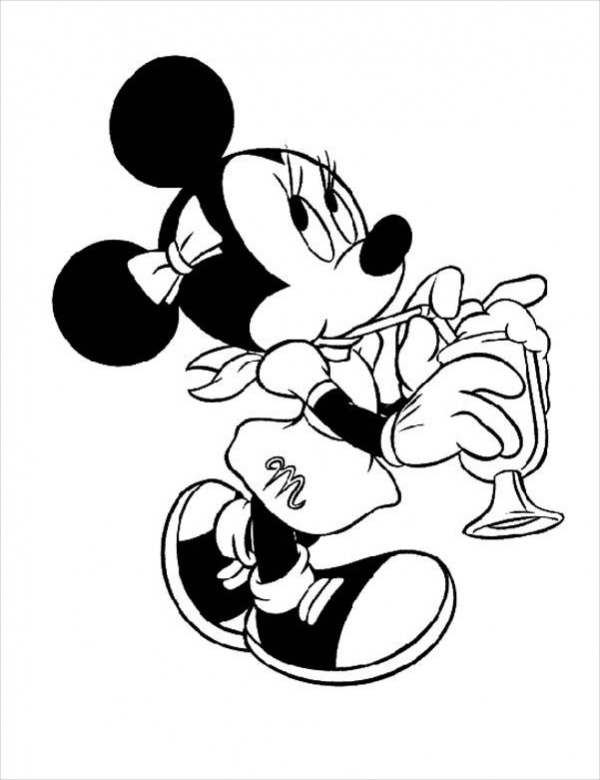 In this coloring page design, Minnie Mouse is enjoying her drink on a hot sunny day at the beach, if you like. You can color the page online or print it on paper for the same. Post marriage, it is time for a honeymoon. 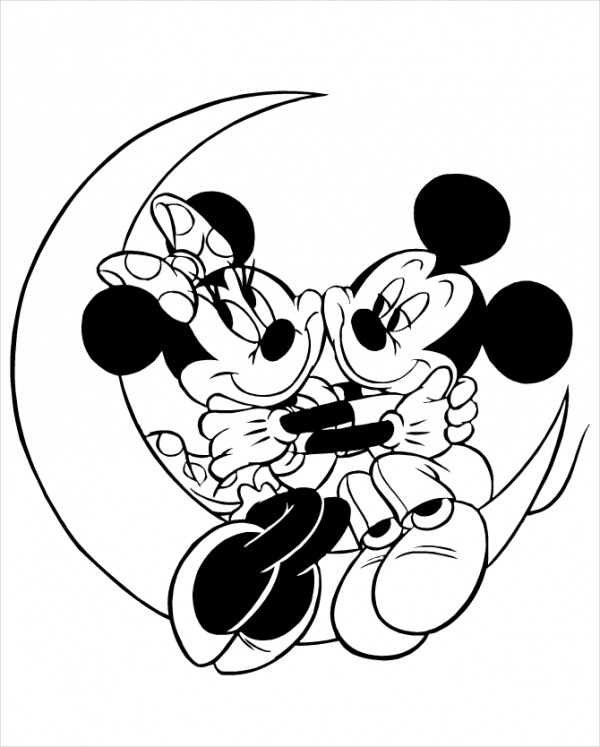 And that is exactly what Mickey and Minnie are doing in this design for a coloring page. They are chilling on a crescent moon and getting cozy with each other. This design is again the same as the one you saw earlier in the list for the winter season with Mickey enjoying his first snow. Download the page design for free from the given link. Wish someone on their birthday with this amazing coloring page design that you can print and color and use as a cover image for a birthday greeting card. Download the page from the given link. Next in line is again the gorgeous boy Mickey Mouse who is sitting and having a big smile on his face that is quite contagious. Download the design for free from here. 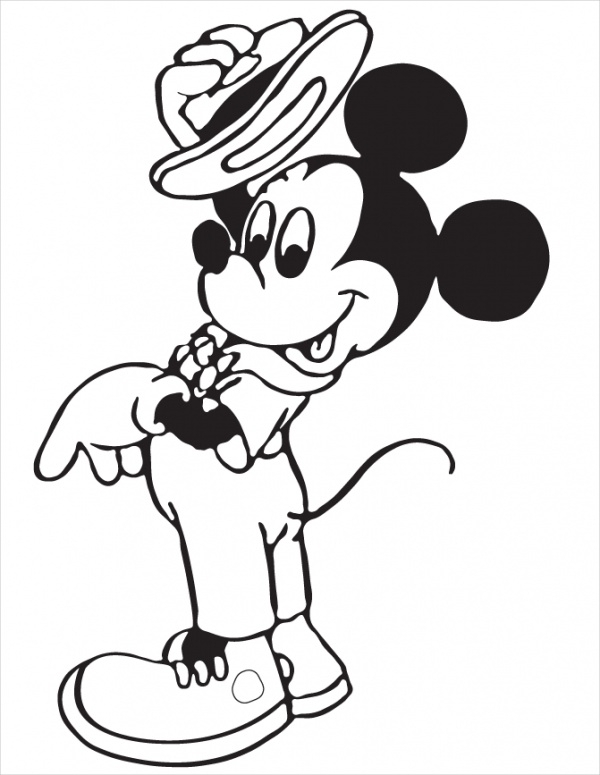 How to use these ‘Disney Coloring Pages”? These Disney coloring pages work the same way as any coloring page would work. Some of these pages have the option of coloring them online, wherein you will use the online tools provided by the website to place your colors. For the rest and all of them, you can download them into your local file system or directly print them and start with your choice of colors like sketch pens, pastel colors, water colors, etc. You can even collect all of them and compile them into a notebook for your kid to have all his or her coloring pages at one place. You may also see Free Printable Coloring Pages. 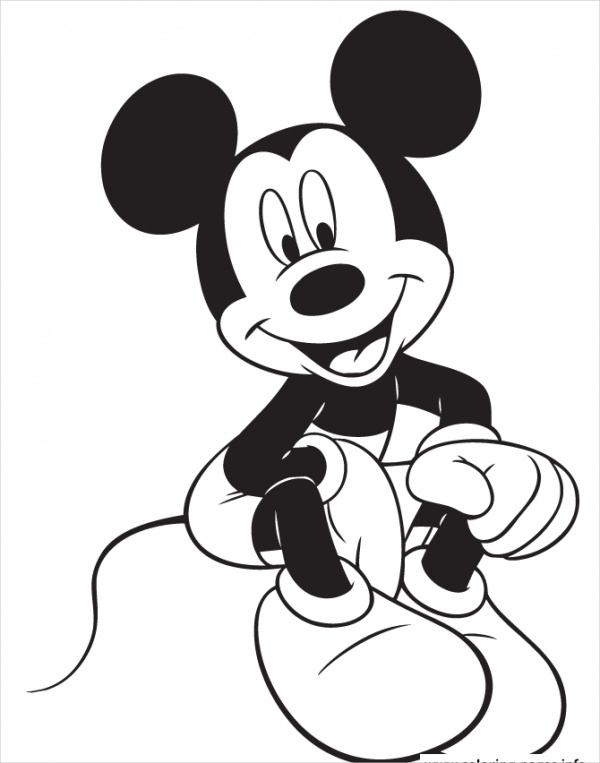 These coloring pages are available in multiple formats like Disney coloring pages pdf and jpg. They are also useful for small stationary owners who would want to sell coloring books to kids and adults, but might not be able to afford it from the vendor. This collection will provide them the opportunity to do the same without spending any money on the designs front.